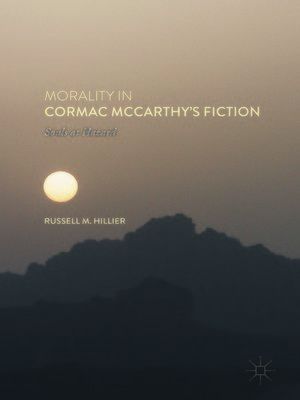 This book argues that McCarthy's works convey a profound moral vision, and use intertextuality, moral philosophy, and questions of genre to advance that vision. It focuses upon the ways in which McCarthy's fiction is in ceaseless conversation with literary and philosophical tradition, examining McCarthy's investment in influential thinkers from Marcus Aurelius to Hannah Arendt, and poets, playwrights, and novelists from Dante and Shakespeare to Fyodor Dostoevsky and Antonio Machado. The book shows how McCarthy's fiction grapples with abiding moral and metaphysical issues: the nature and problem of evil; the idea of God or the transcendent; the credibility of heroism in the modern age; the question of moral choice and action; the possibility of faith, hope, love, and goodness; the meaning and limits of civilization; and the definition of what it is to be human. This study will appeal alike to readers, teachers, and scholars of Cormac McCarthy.